I’ve always had a fascination with the moon. After studying the phases of the moon in astronomy classes and the astrological impact it can have on personal transformation, I began to explore the spiritual connections that the moon has brought to many cultures over thousands of years. No matter where we are in the world, we can see the moon. It’s something that we all have in common. The moon has brought great comfort to me in my life, particularly during a time when I felt a loss of personal identity. This was during my first two years of becoming a mother – a time of joy, but a time of anxiety, depression and confusion. I was a mother, but who was I really? I took many walks during that time, gazing at the moon and trying to make sense of who I was and what purpose my life served. 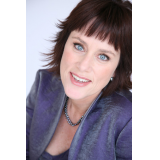 Taking the knowledge I had of the moon and its place in spiritual transformation, I combined it with my training as a life purpose coach and a journaling workshop facilitator. Together, this combination created a path of self-discovery for me – a path that I want to share with the many mothers who feel a loss of personal identity. Working with the phases of the moon as a source for personal transformation, mothers who are challenged by the loss of personal identity are gently guided on their own paths of self-exploration - leading to a life of purpose, passion and creative expression. 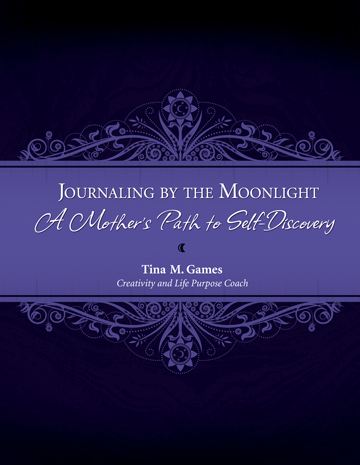 The accompanying deck of 54 journaling prompt cards (divided into nine phases of the moon, including the blue moon) support the self-discovery process outlined in the book. Chapter Seven – The Waxing Crescent: Who Are You, Really? Journaling by the Moonlight reminds us, as women, about our powerful relationship with the moon, and guides us in strengthening our relationship with ourselves. Even though I am not a mother, I found a lot of insights about connecting with my own inner guidance to find purpose rather than seeking it in what I do, even when it is "doing" for those I love. Using this journal, I began to open up to the moon and its different phases, and saw how they often relate to what's going on within me. Now when I take the dog out in the evening, I am ever aware of the moon, where it is and what phase it is in, and find this to also be a good time for connecting within. Thank you, Tina!